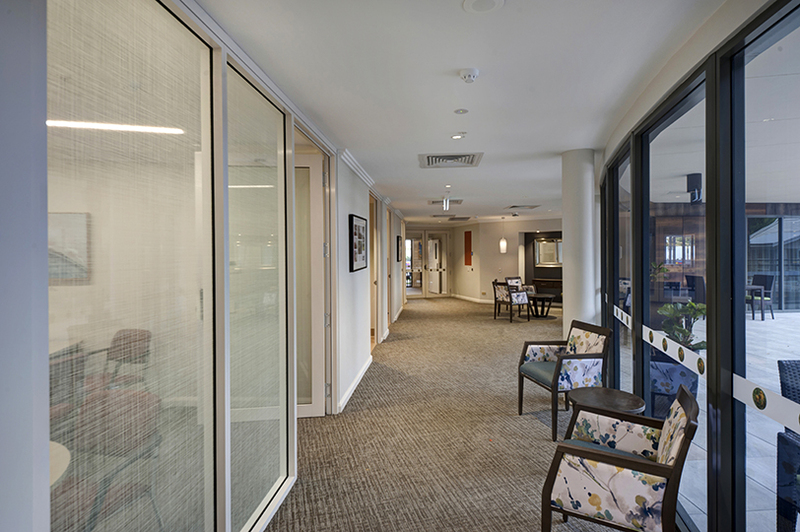 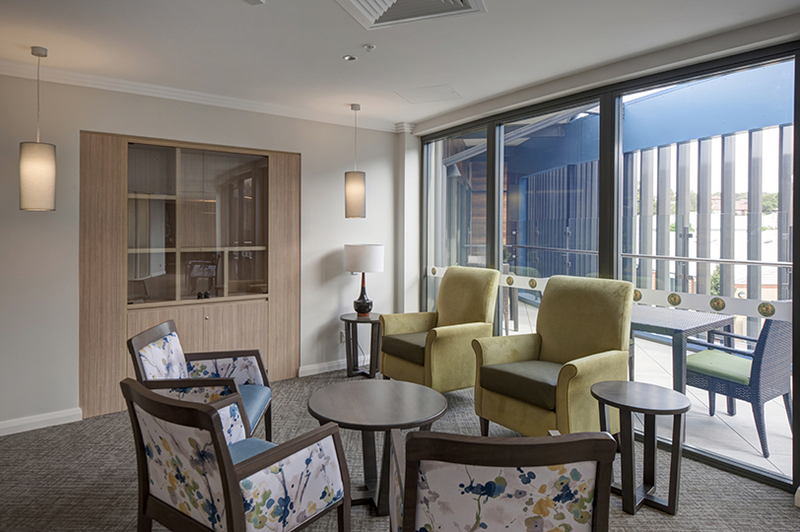 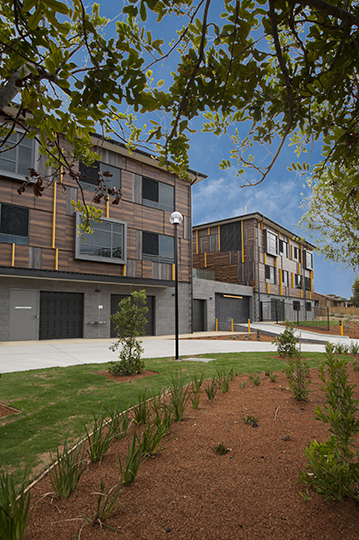 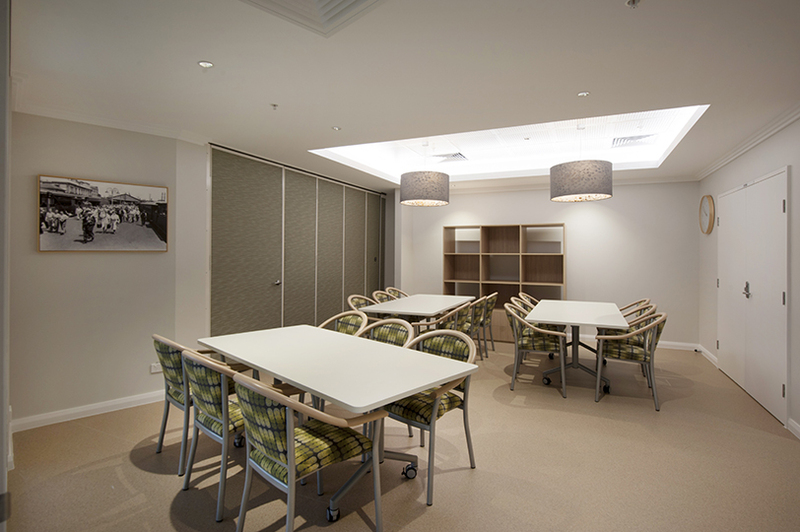 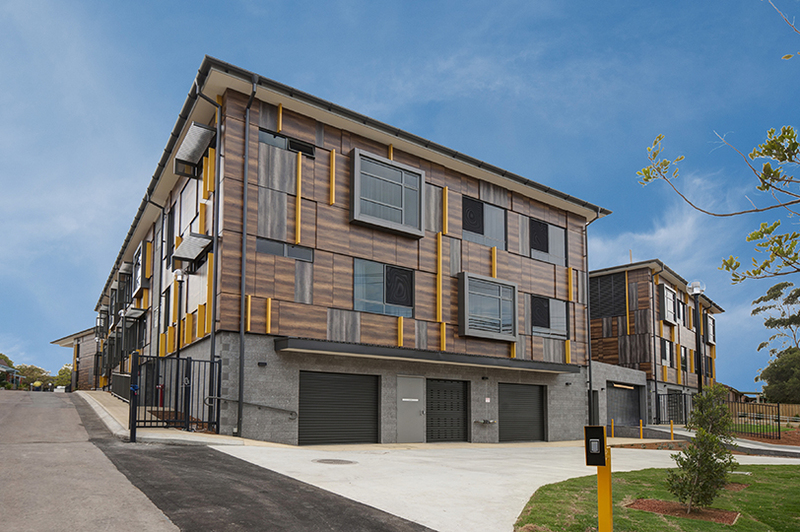 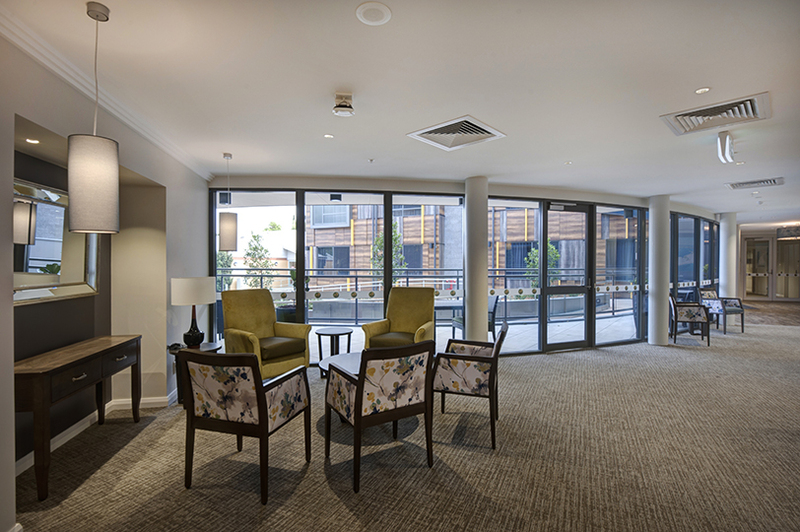 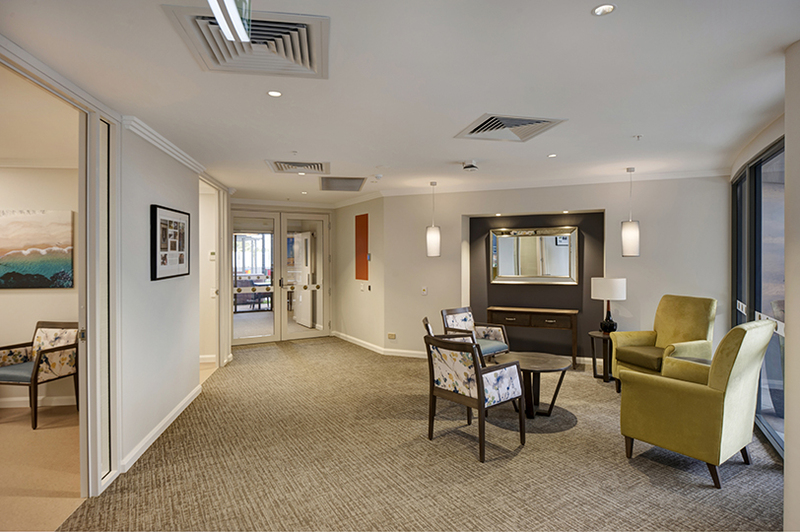 Tinonee Gardens is a 72 bed residential aged care facility over two levels with basement level carparking, storage, maintenance, plant and utility rooms. 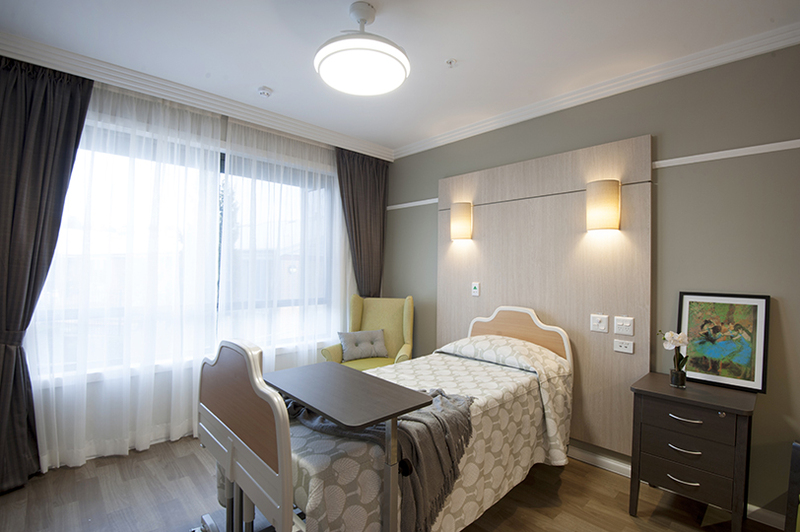 The facility comprises 72 single bed rooms with ensuites. 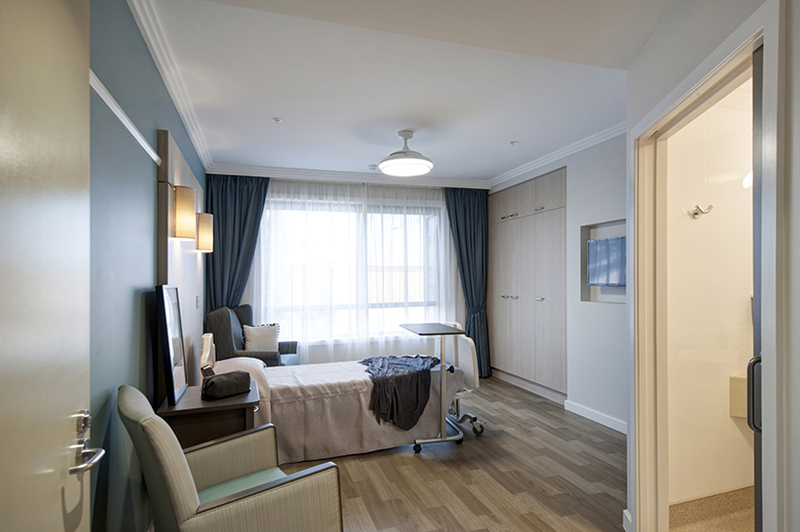 Each bedroom is equipped with nurse call and the ELSI smart floor system. 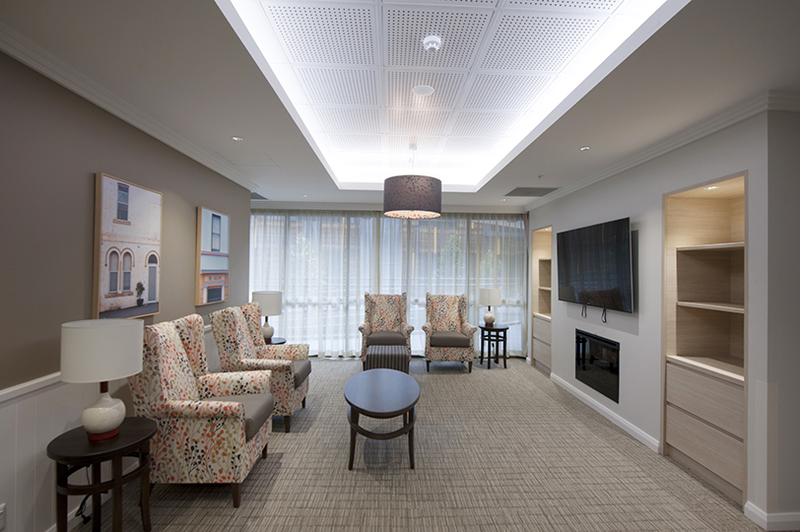 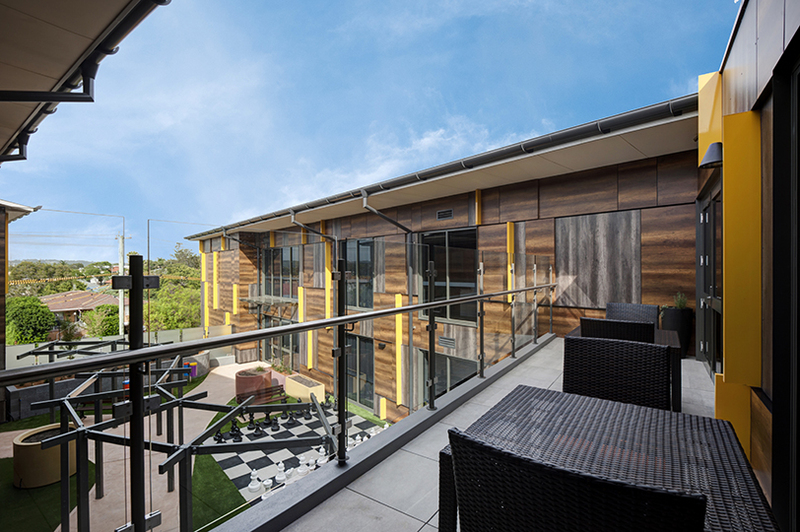 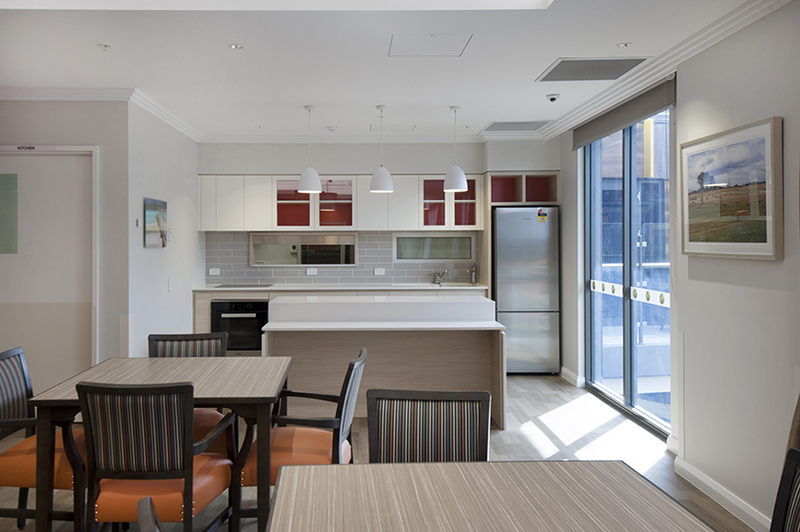 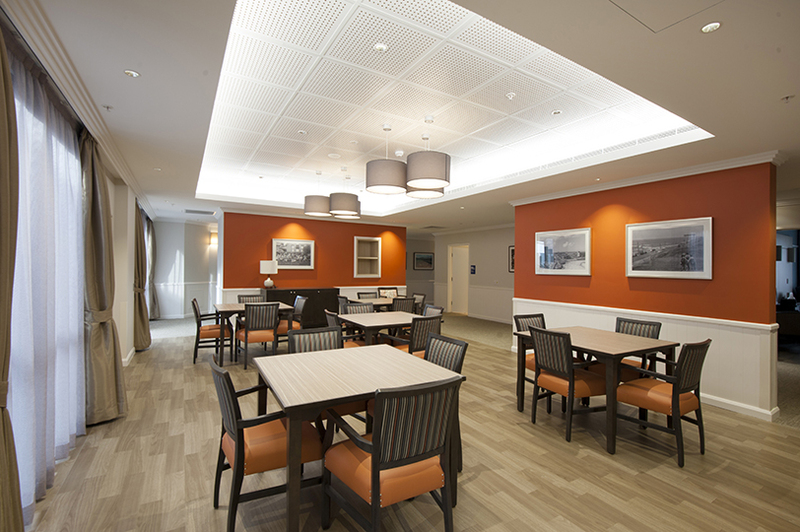 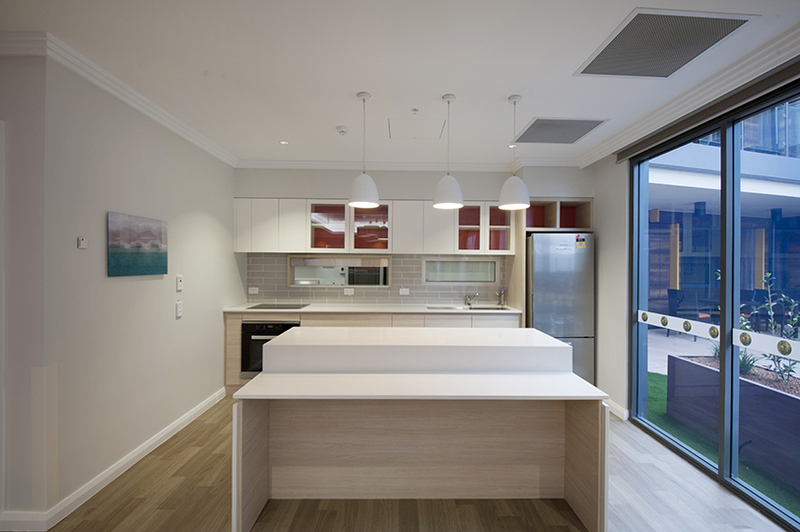 Resident facilities also include four dining rooms each with a servery kitchen, a salon, a therapy room, an activity room, four large lounge rooms and multiple sitting areas and alcoves. 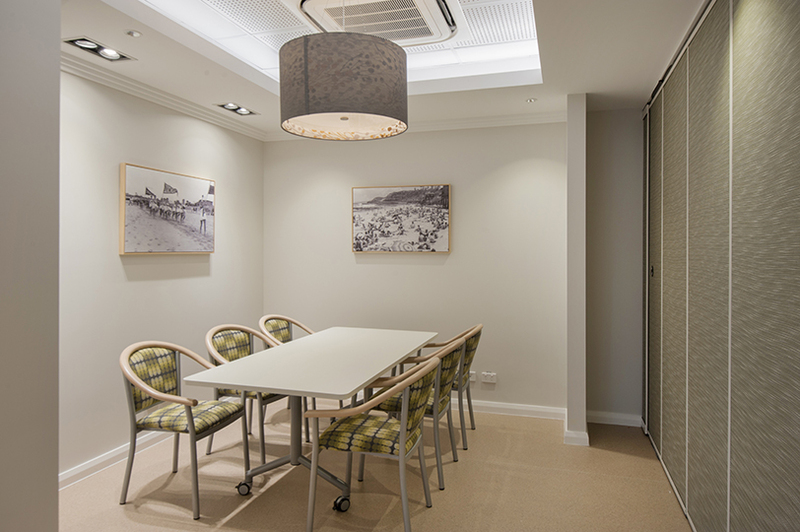 The staff areas and facilities include administration offices, reception, treatment rooms, staff stations, lunch room facilities, linen and equipment storage. 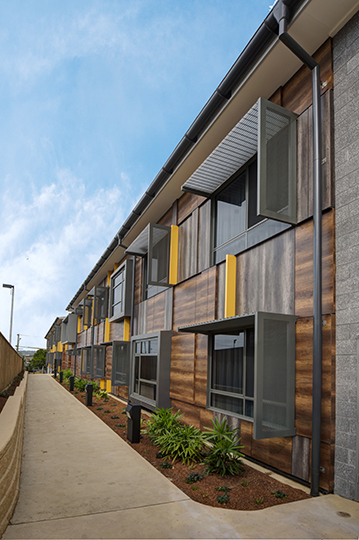 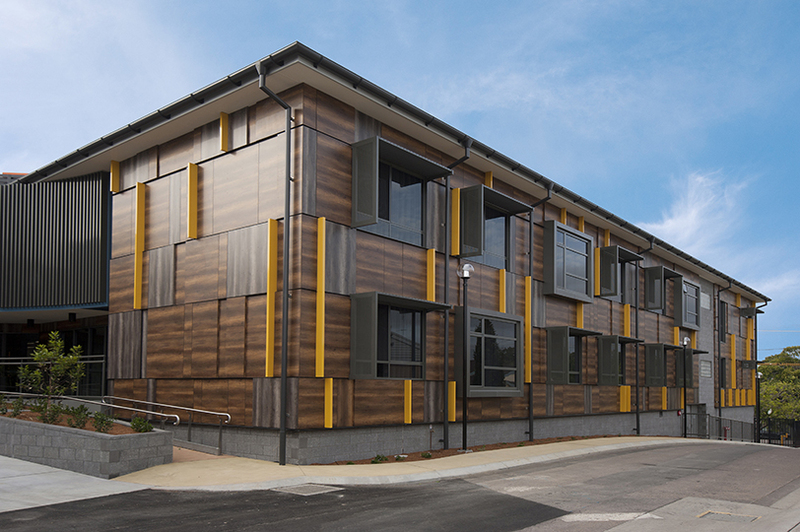 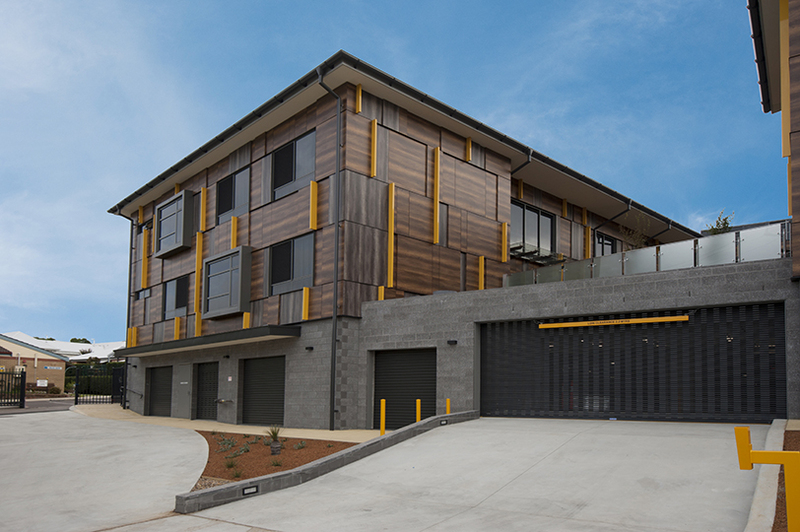 Outside the building is clad in the unique Fundermax cladding system with randomly placed rectangular aluminium fins. 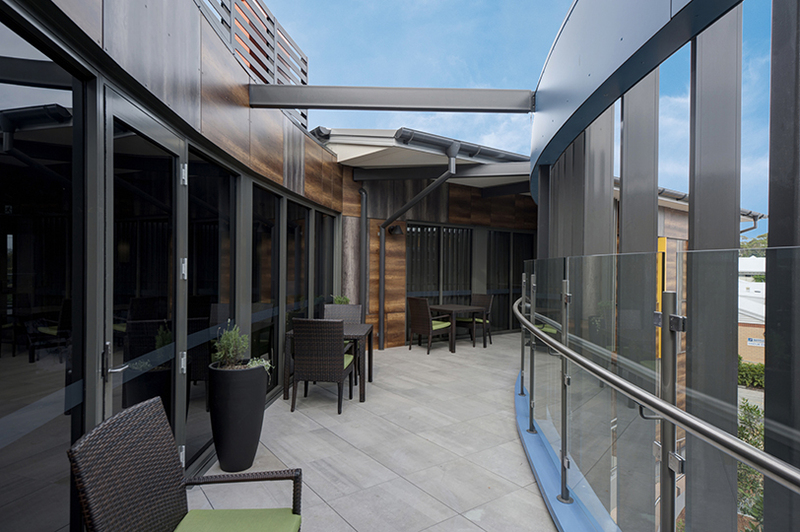 The balconies and most windows have aluminium sunshades, while the basement and planter boxes are constructed of honed concrete blocks. 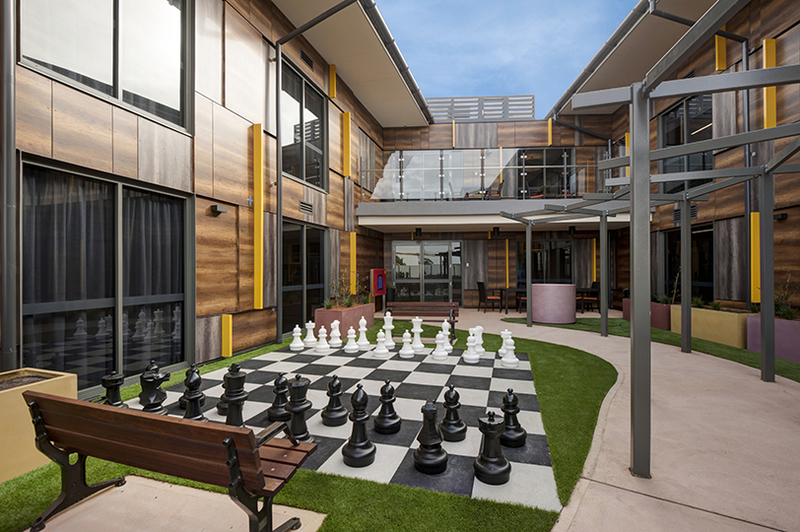 There is a suspended courtyard to the southern wing, completed with pergola, giant chess board, activity play panels and potted plants and planters. 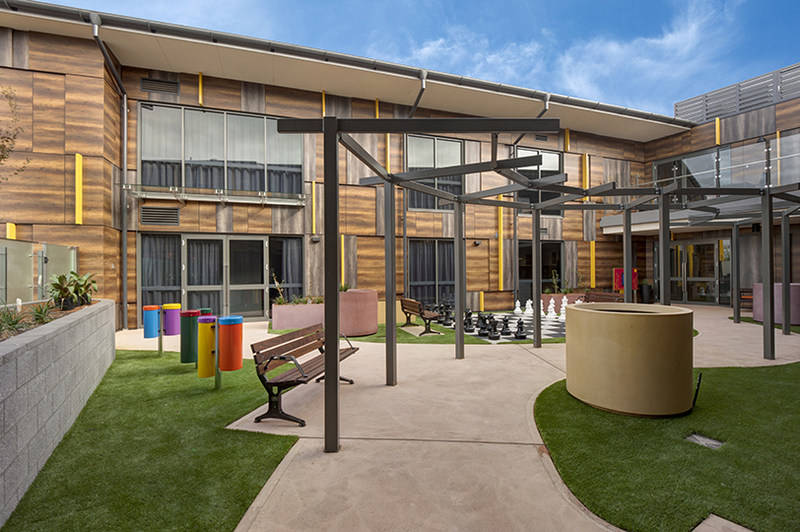 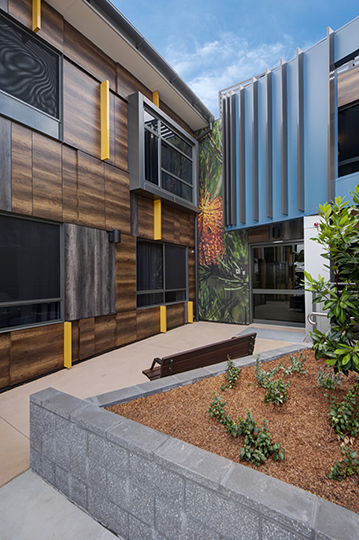 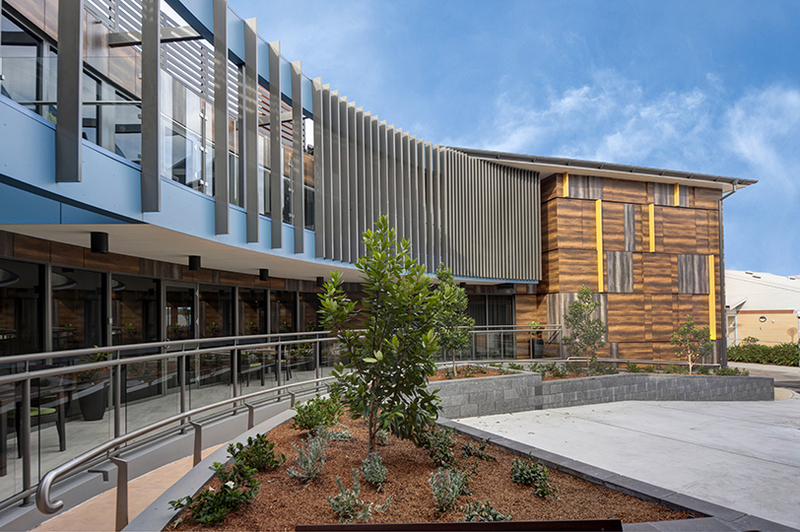 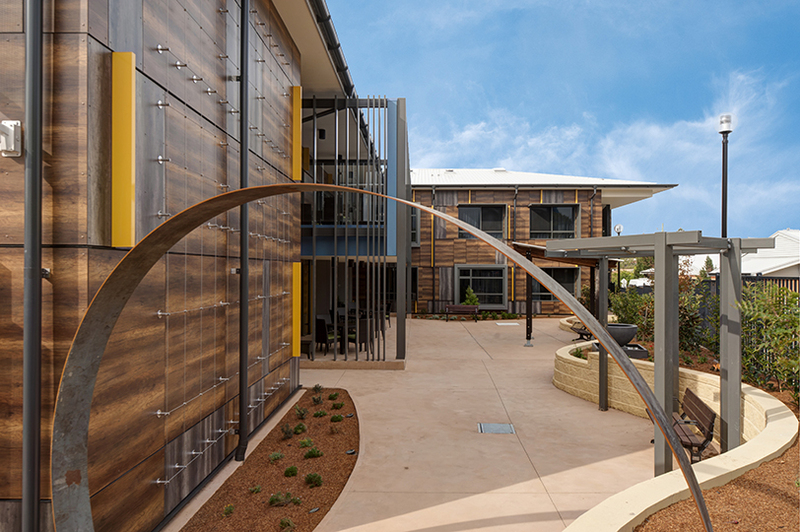 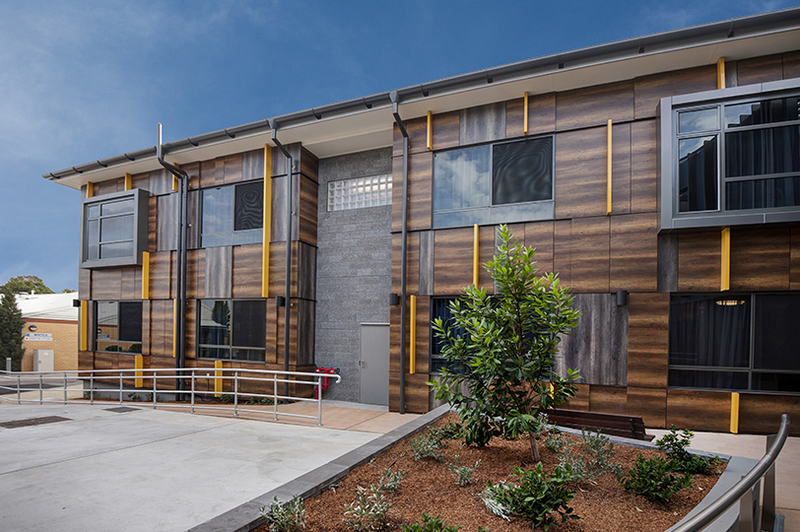 The secure courtyard which wraps the northern wing has a mens shed and split-face block walls to the gardens beds, while coloured concrete footpath wind around the entire facility.